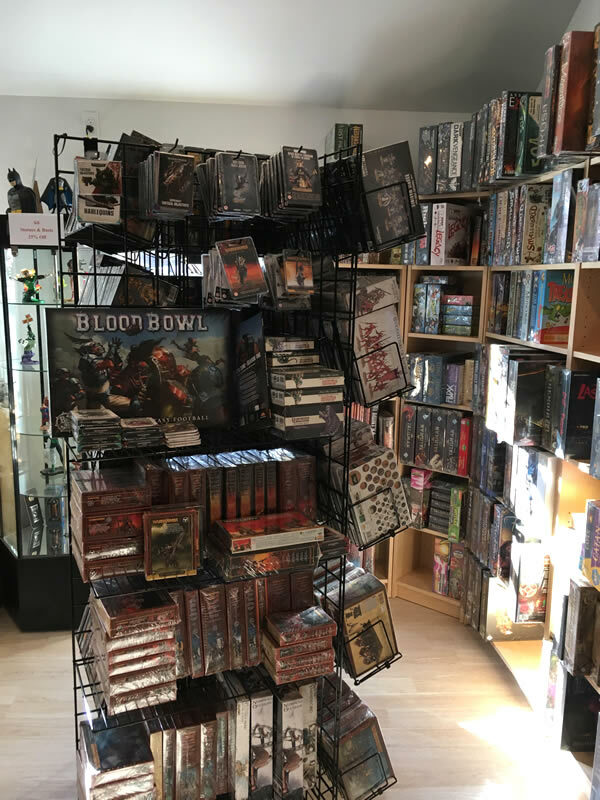 RPG’s include Dungeons & Dragons, Star Wars, Pathfinder and Call of Cthulhu. 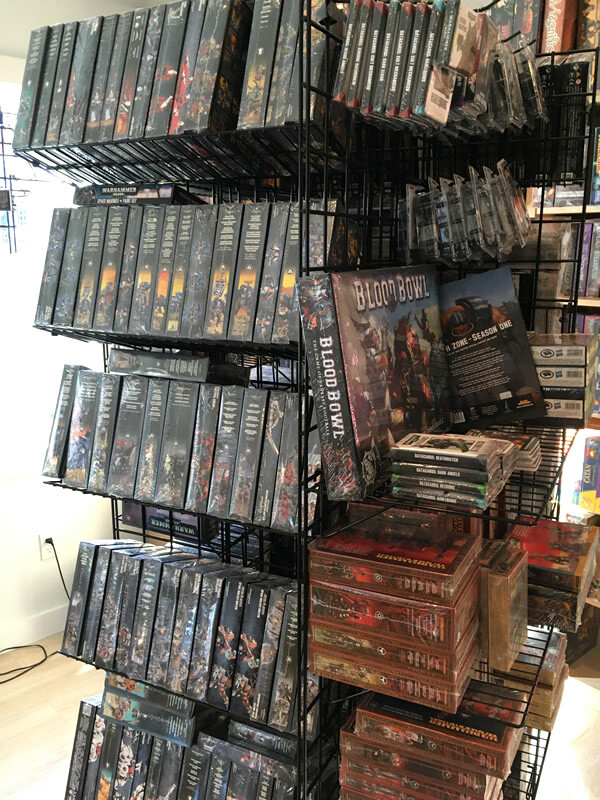 Miniature games Warhammer and Warhammer 40K. 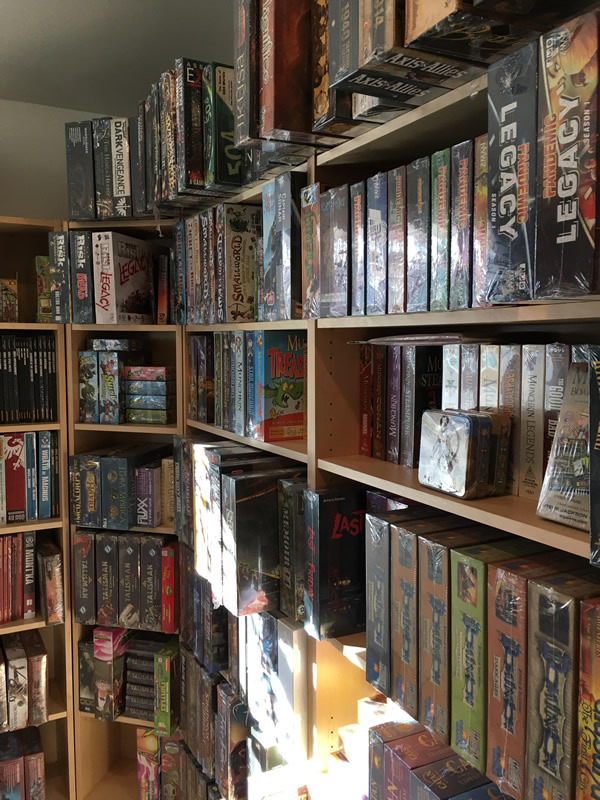 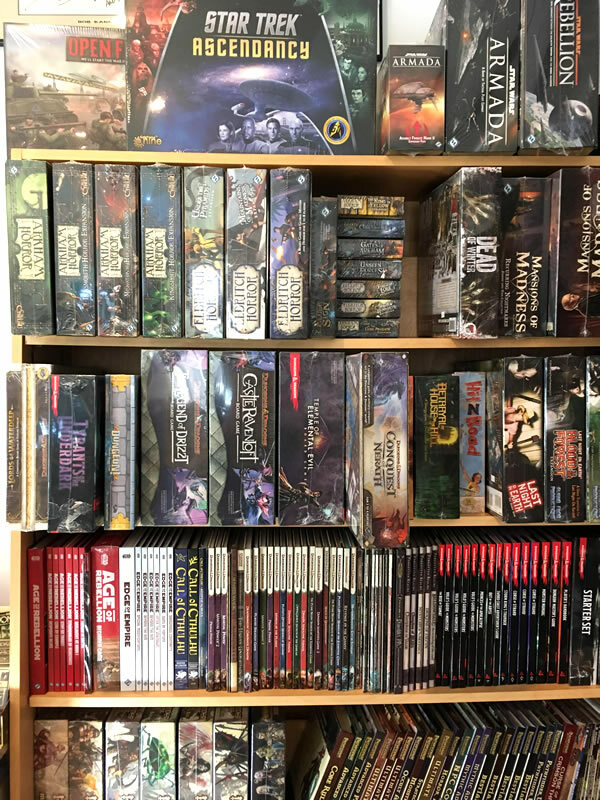 Board Games by Fantasy Flight, Steve Jackson, Twilight Creations, Smirk & Dagger, Wizards of the Coast, Rio Grande, Mayfair, Z-Man, Days of Wonder and Asmodee.